The Hamilton Halo project aims to bring native birds, starting with tui, back into Hamilton city. The ‘halo’ is a ring drawn around Hamilton, taking in key sites where tui breed. These sites are controlled for rats and possums, improving the survival rate of tui chicks born in these site. We’ve had hundreds of tui sightings in the city over the past year – it’s fantastic! 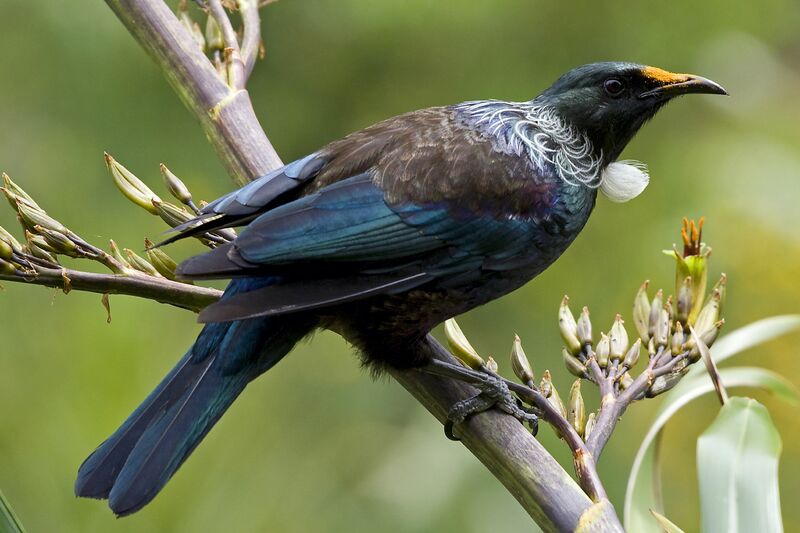 We’re hoping to see more tui over time as the effects of pest control kick in, and as Hamiltonians plant their gardens with flaxes and other tui-friendly natives. If you see a tui in Hamilton over spring or summer, we’d love to hear from you. At the moment it’s breeding season – many tui have headed into the bush for summer. We’ve had a few reports of tui still in the city though (fingers crossed they’re making babies)! Come and visit us on Facebook (www.facebook.com/hamiltonhalo) and Twitter (www.twitter.com/hamiltonhalo) or visit our webpage at www.ew.govt.nz/hamiltonhalo.